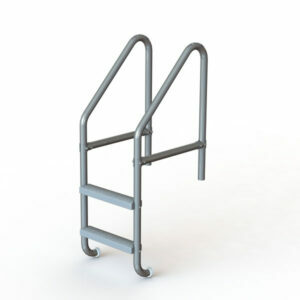 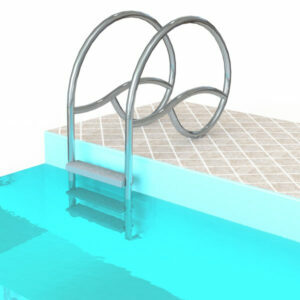 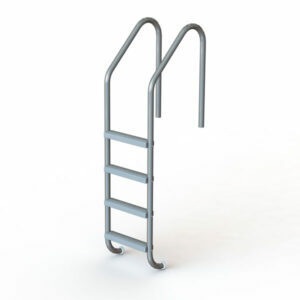 Heavy duty swimming pool and spa ladders feature a cross brace for added stability and measure 25″, 27″, 30″ or 36″ between tread and anchor location. 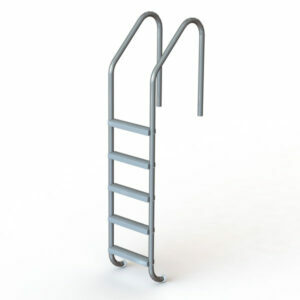 Ladders are supplied with our deluxe HDPE tread. 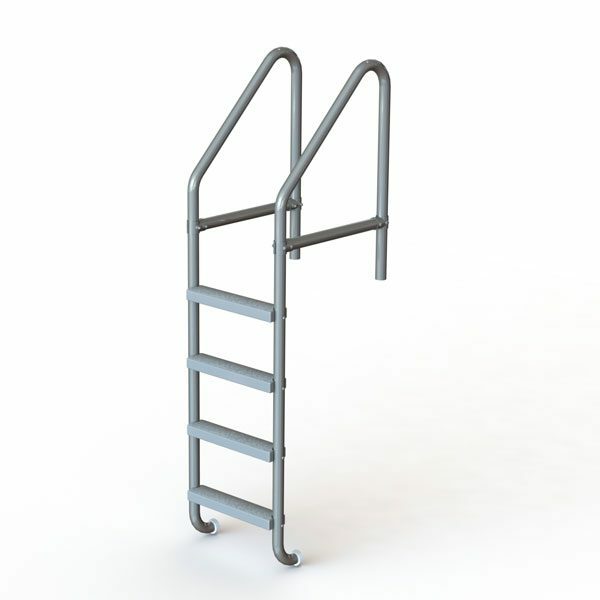 The 20″ side HDPE tread incorporates molded nut inserts, eliminating the need for exterior nuts and sharp surfaces, and is equipped with a step reference locator.